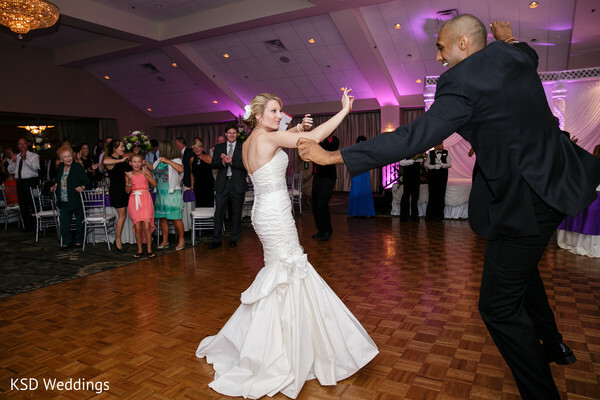 KSD Weddings captures splendid shots of our spotlight couple, Nicole and Brinder, in their contemporary fashion ensembles! 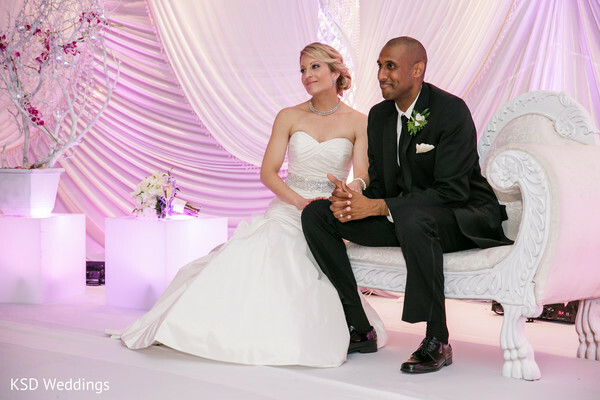 Our Maharani is a breathtaking vision in her mermaid-shaped white wedding dress! She looks flawless from head to toe! Her statuesque partner in crime is quite handsome in a classic black suit! 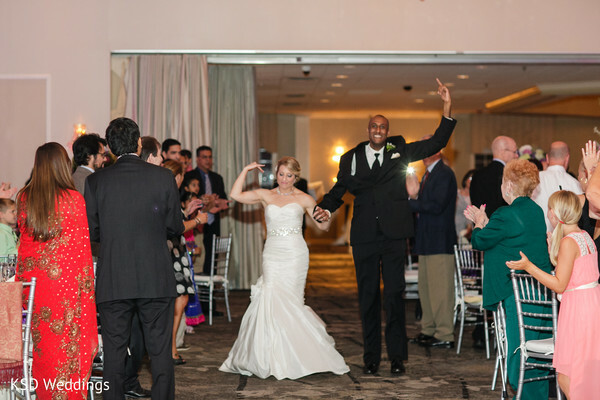 These two are definitely primped and primed to celebrate at their swanky Indian fusion wedding reception being held at the Springfield Country Club in Pennsylvania! 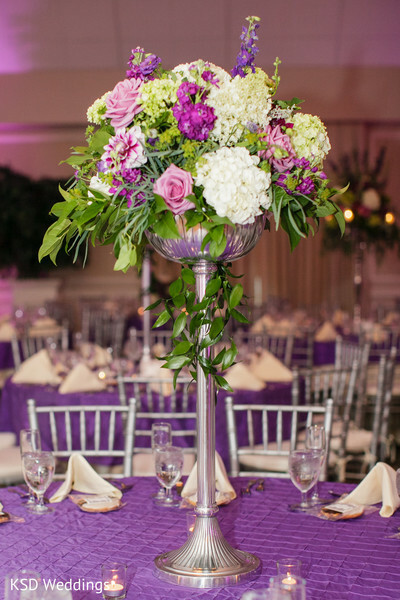 From crystal accents to rich linens to lavish centerpieces—courtesy of Cottage Flowers, every decor detail is sublime! Abhishek Decorators designs a sensational sweetheart stage with gorgeous draping and luminous lighting! 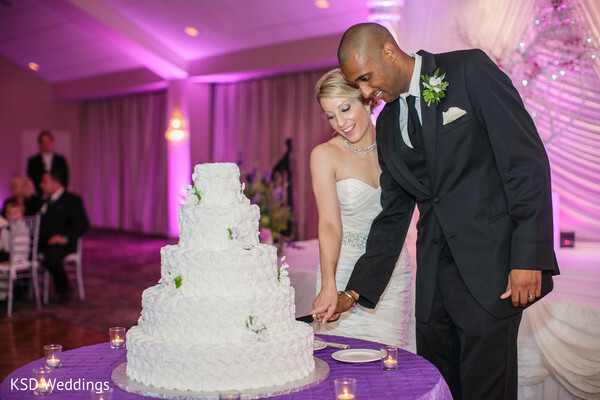 And to top it all off, Bredenbeck’s Bakery provides a sweet ending to the night with a delish five-tier wedding cake! It truly looks like a blast was had by all! 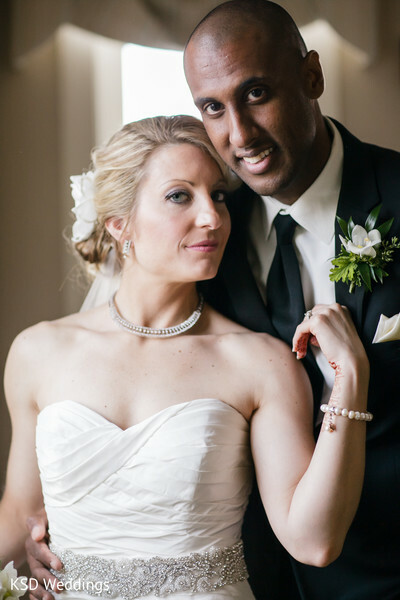 Don't forget to tour the gallery to see every aspect of this affair, from start to finish! "We danced to Ed Sheeran's, Lego House. From the first time we heard this song, it held special meaning for us, as it talks about building a life together and supporting each other through the good times and the bad." Hope you enjoyed every detail for this wedding like I did!